The holiday season can bring time with family and time off from school. 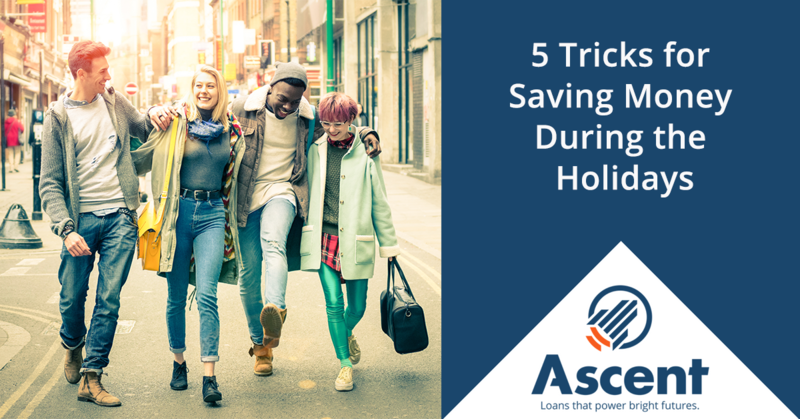 Though it’s important to enjoy them as much as possible, the travels and celebrations can mean extra spending for students on a limited budget. Between all the gifts for loved ones and the costs incurred to go visit them, it’s easy for our budgets to feel the crunch of the holiday season. Let’s look at some of the ways you can save money during the holidays, so you can afford to stay on track while the celebrations are underway. It’s easy to overlook the little expenses that can add up during the holidays. For some students, using a credit card to make their daily purchases can lead to a lack of understanding about how much they’re spending. Little purchases can add up and create quite a shock when the next credit card bill comes in. If this is an issue for you, try withdrawing just enough cash and allocating that for small expenses can help you become aware of the money that’s flowing outward. Wisely using a credit card and paying it off every month can help you build credit and avoid the spare change that can be lost or overlooked. Knowing how to use credit cards—while knowing how to avoid credit card debt—is an important factor of financial literacy that will serve the lifetime of your wallet. You can use a budgeting app to help you keep track of expenses, or lay them out in a spreadsheet like the Ascent Student Budget Calculator. This way, when the holiday heavy-spending potential comes up, you’ll be more prepared to track your expenses. If your friends and family share in a tradition of gift-giving, you can provide them something special while avoiding the hefty price tags by gifting them a homemade creation. You don’t have to be an artist to create a valuable gift—a heartfelt card can express a lot. In addition, many online services help you to create your own unique gifts using pictures or text that you provide. A homemade gift is more precious than what money can buy, as your attention and effort turn into real value when you focus them on a gift for a loved one. Not all gifts have to be physical—spending time with family and friends is more valuable than store-bought goods. Though travel expenses can add up, getting together and focusing on shared experiences rather than pricey objects helps you connect in a deeper way. As we move through our college years, we start to appreciate time with loved ones more than the latest smart phones or holiday feasts. Of course, cash gifts are helpful to any student, but the holidays can also be a great time to step back, reevaluate our financial situation and ask for help if needed. Getting your holiday shopping done early can save you the headache of having to rush to a store last-minute. Black Friday and Cyber Monday are popular holiday shopping days, but you can find deals earlier in the year as well. Keep an eye out on gifts you may want to purchase and watch for fluctuations in the price. You may be surprised to find a better and more economical alternative through the research you do online. It’s no secret that many students face financial challenges throughout the school year. Finals and midterms weeks are especially tough on the minds and wallets of college pupils. Many people in your support network such as friends, relatives and school services are happy to step in and give you a hand when you need it. It’s only a matter of asking for help and taking advantage of the support services available. 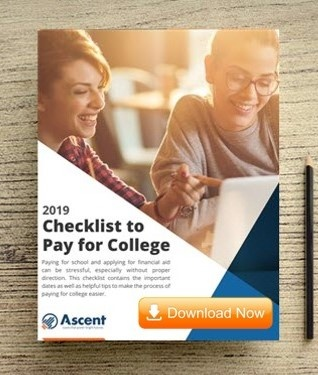 In addition to providing financial support when you need it, Ascent Student Loans is committed to educating students about how they can financially thrive throughout the school year. Be sure to check our blogs section often, so you can get the latest and greatest tips on maximizing your financial literacy skills. Whatever your major is and wherever you choose to go after graduation, Ascent is dedicated to providing students the resources they need to achieve their dreams.